All CMS packages cannot be expected to be able to do everything. And when comparing CMS packages we need to compare apples with good old apple. However I do not want to get caught up into listing the good and bad of WordPress in comparison to other similar CMS. packages. The idea here is look at WP in a rather simplistic way and to see why its so popular and who should or can use it. 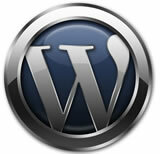 WP is an open source software package that runs on a server, its designed function is to best present blogs (web logs). A blog site is slightly different to a typical brochure website in that its designed to accept logs, and so as these logs are added the older ones are moved to another place (archived) while the newer logs are visible for a time. Its meant to be dynamic by adding the logs reasonably often. Where a traditional website content is generally more static. WordPress and other similar CMS type software packages has opened the way to many more cost effective websites going online. It allows for websites to be published without any or very little coding knowledge. But it also allows those who can code to put a great product online. Many of these developers put there energy into template and plugins which in turn makes the blog package even more versatile. Some would say use WordPress if you need a blog. That would be correct, it would also be correct to say you can use WP if you need a static website, but also for a combination of static and blog. Using WP as a static website can be a bit challenging at times, especially after using say Joomla for your website development since this is what its designed for. So the question is why not say use Joomla for your static websites & WordPress for your blogs, there is nothing wrong with that thinking at all. Learning Joomla for a novice can be a bit daunting, but developers are using WP as websites software even when they know other CMS packages. The answer would just be speculation, but since we as developers are also migrating more to WP, one reason is that the clients could be asking for it, but its also easier for the client to update a WP site most other sites. The real reason in my opinion includes SEO, Search Engine Optimization, reason being search engines are info hungry and blogs is the right place to look, as its designed to churn out content. WordPress is ”light” in coding, quick to load has the potential to add plenty of new content online and developers have seen the potential and have developed some really good SEO plugins which gives WP users more of a handle on SEO matters and so the momentum is growing. The results speak for themselves that WP sites are ranking high in Search Engine Result pages. This is not because its just WordPress code but because the correct combinations can be easily assembled in WordPress. In conclusion you wont go wrong whether you are a novice or a seasoned website developer in using WordPress. IDS WebDesign specialises in WordPress development and the sister company IDS Hosting has the ideal products to host it. IDS Hosting offers auto install facilities for WordPress and many other scripts on both local and shared hosting. Contact us should you require more info on WordPress development & Hosting.